Ciara & Ben are Fun In the Sun Weddings’ newest newlyweds! This bride and groom are evidence that sometimes love can be right in front of your face, and you don’t even know it. For Ciara and Ben, love was patient. Ciara’s best friend is Ben’s sister, and so they had been in each other’s lives for eight years before they started dating. Ben admittedly wanted a big, traditional wedding at home in England, but Ciara dreamed of saying ‘I Do’ with sand between her toes. 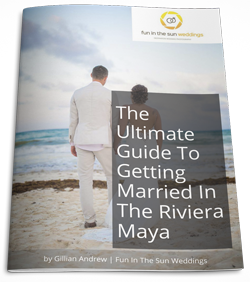 The settled on a Riviera Maya wedding after falling in love with the area on holiday. Ciara changed their color palette to pink with rose gold a mere five weeks before their wedding! She still has seven teal colored bridesmaids dresses hanging in her closet at home! 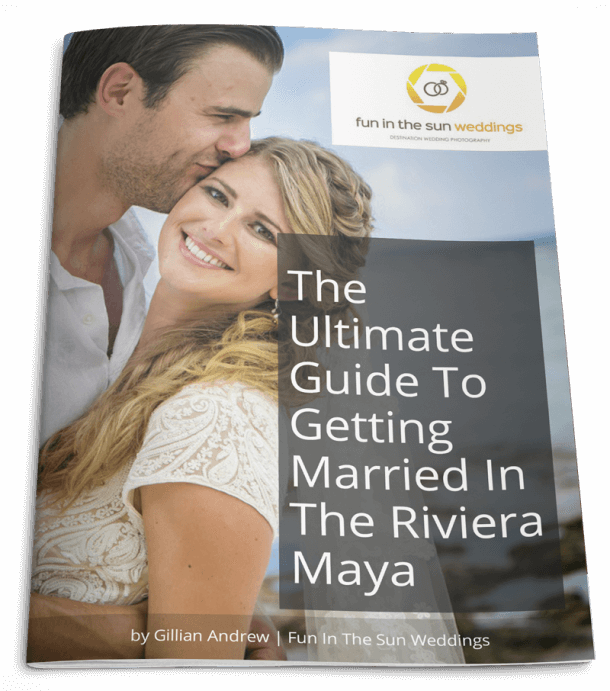 Their wedding at Moon Palace Cancun exceeded their expectations. The bride’s favorite moment from the whole day was tossing the bouquet FOUR times because it kept landing in her uncle’s lap! In the end, there were almost no petals left on the roses! Ciara’s advice for brides getting married on the beach? Don’t be too rigid because the most important thing is to enjoy the journey. They are all moments that are special and you can never get back. Ciara and Ben, it has been a privilege sharing your wedding adventure with you. We wish you nothing but happiness in your marriage and we hope to see you back our way again soon. Congratulations! Are you looking for the best Cancun wedding photographers for your beach wedding? Then contact us now! We are Fun In The Sun Weddings, for the best Riviera Maya wedding photography. Want to know more about the Moon Palace? Read unbiased reviews on Tripadvisor here. Marc was brilliant at our wedding. It’s hard to keep people engaged when it’s so hot! But everyone was so pleased with how patient and lovely he was. Would highly recommend Fun in the Sun Weddings! Thank you to Fun in the sun for making the whole process so very smooth!